This photo of the moon was taken with an iPhone 4, putting the lens against the eyepiece of a 30x telescope. It’s not been particularly ‘fiddled with’ – just some sharpening and cropping in Photoshop Express. To show how it was taken, my son Daniel and I shot it as a video instead, which shows how tricky it is to get it steady and positioned properly. Once the telescope was focused on the subject, its a lot of minute nudging of the iPhone to get the moon in the picture, focus on it, and take it. 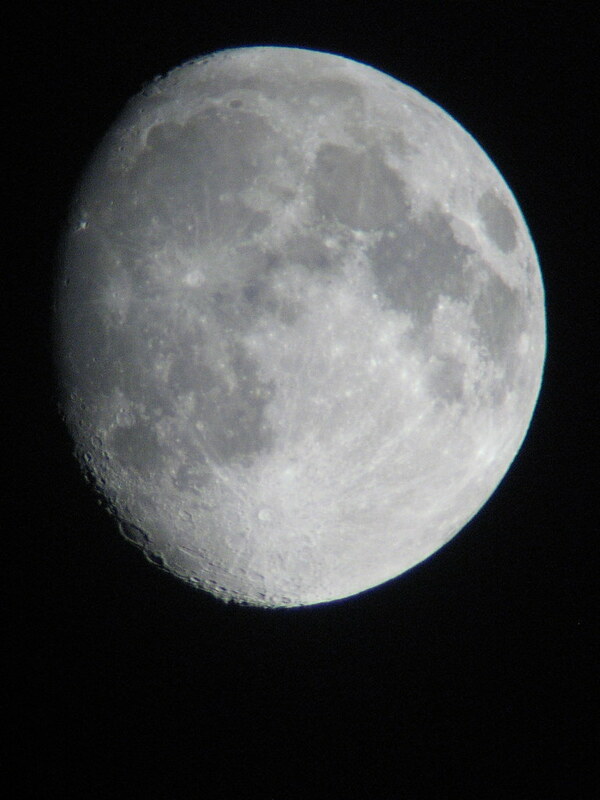 Using a compact camera gives a better result (below), as the size of the lens and telescope eyepiece are very compatible. However, the best camera is the one that you have with you, and there’s a certain delight in being able to use a ‘cameraphone’, and the moon makes an ideal subject! NextSponsor me in the Circuit of the Cotswolds!